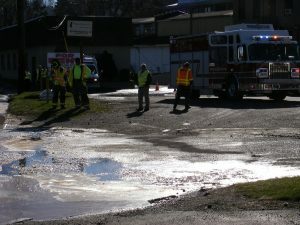 The department was dispatched for a large spill of cooking oil and sewage. The spill a result of a sewer backup lead to pushing a 300 gallon waste oil (cooking oil) onto Wagaraw Road. Chief Speranza arrived to assess and develop a plan to contain the spill. 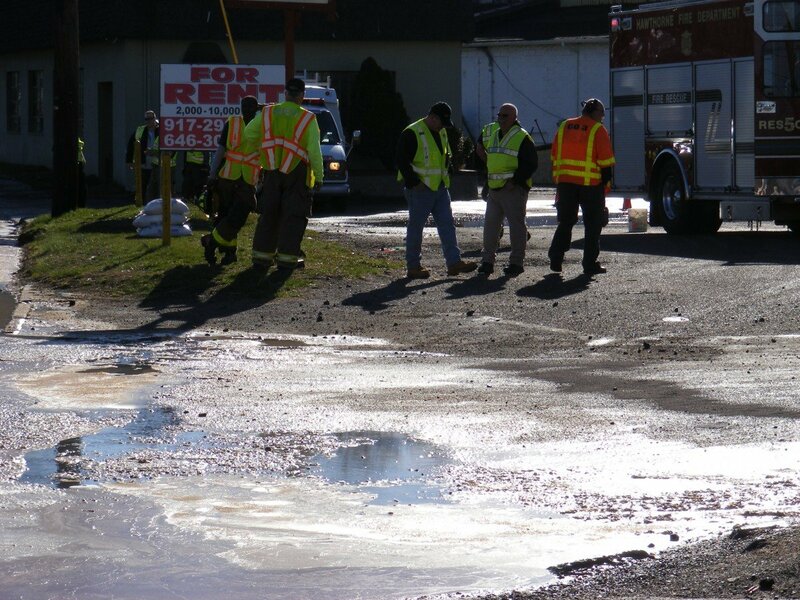 The spill spanned over 350 feet of road surface and into a local stream. The members of Engine Three and Rescue Five arrived and began deploying containment boomso and absorbent. 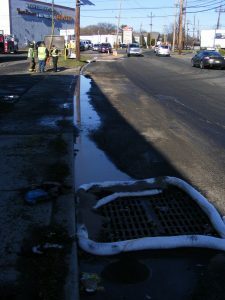 DPW employees worked to jet the clogged sewer line and with the help of a sewer contractor the incident was controlled. Members spent several hours cleaning up the spill and flushing any harbored product so it would not pose a threat. The department wishes to thank our County Health Dept, and State DEP for their assistance.